Chefs taking part in the National Restaurant Association’s annual What’s Hot survey named locally sourced meat and seafood, locally grown produce and hyper-local sourcing as three of the top five trends to watch this year. 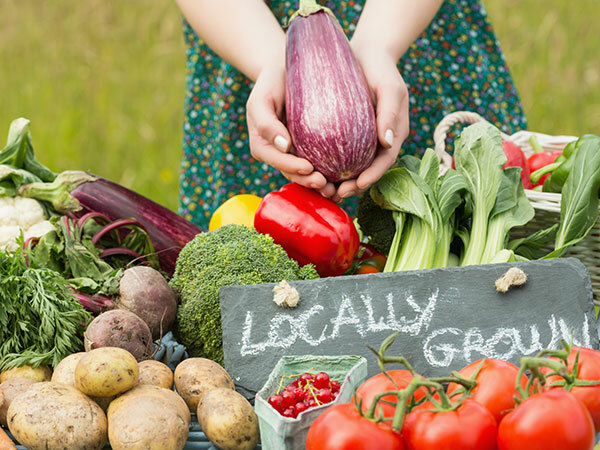 Local also is a hot button for consumers, noncommercial menu developers and foodservice directors, especially as the growing and harvesting season comes to a peak in the months ahead. It was all the talk during the 2016 Good Food Industry Conference in Chicago, where operators, farmers and sustainability experts came together recently to share ideas. These six are worthy of a steal. At Chicago’s McCormick Place convention center, a 2.5-acre farm flourishes on the roof, yielding 8,000 pounds of produce and 50 pounds of honey annually for the venue’s catering operation and several onsite restaurants. While most foodservice facilities don’t have that large a rooftop, it pays to look above to carve out space for a garden. But, warned Kevin Jezewski, director of sustainability and special projects for Savor at McCormick Place, “You have to be adaptable and create menu items as soon as a bumper crop is ready.” Digital menu boards are the key to creating and selling hyper-local dishes within a few hours of harvest, he said. Savor, the food and beverage provider at McCormick Place, developed a Green Thumb brand for menu items and products featuring its rooftop bounty. The latest—a pale ale made with the first crop of hops grown on the roof. Promoting that branding and the convention center’s green certification has brought in business from groups with a sustainability focus, such as Al Gore’s Climate Reality Project, says Jezewski. Hennepin County Medical Center in Minneapolis has a large Hmong patient population, said Bill Marks, director of food, nutrition and environmental services. “We grow organic herbs that are characteristic of their cuisine. What we don’t use fresh, we freeze and seal for the winter,” he said. Some of these herbs are destined for the traditional Hmong dish a new mother eats after she gives birth. Marks learned of the custom when he noticed relatives bringing the home-cooked dish into the hospital. Nurses, doctors and other hospital employees often want to join community supported agriculture co-op to buy directly from farmers and get seasonal deliveries of local produce, but it’s not convenient or cost-effective. Hennepin County Medical Center sponsors a CSA for staff and the public; the farmer drops off a box for each member and the hospital designates a spot for pickups, said Marks. The number of members and the central pickup area makes this CSA affordable and expedient. A group of Chicago private schools contracts with HandCut Foods, a management company that aggregates products from 250 local farmers to create scratch-made meals for K-12 students. “We focus on finding the right fit, working with parent groups, student government and the cafeteria staff,” said George Madzhirov, CEO of HandCut Foods. His company works out of a local food hub in Chicago that houses acommissary, retail market and restaurant. HandCut also has a couple of B&I accounts, including Morgan Stanley. When a school or other foodservice venue makes a commitment to source local produce from a distributor or CSA, strange vegetables often show up in the order. Bruce Sherman, chef-partner in Chicago’s North Pond Restaurant, puts less conventional produce on the plate with a steak or roast chicken. “It gets people to try things they wouldn’t ordinarily try and allows the chef to feature the farmer’s best seasonal offerings,” he said during a chefs’ panel at the conference. Sherman also educates his staff about the produce so they can educate guests.